How can I create a form that will allow users to submit locations to the database? 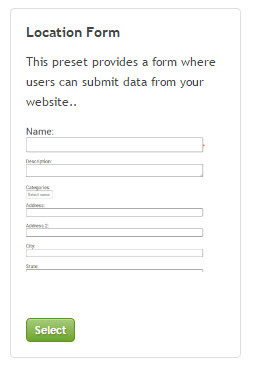 Publish Automatically: Setting this to Yes will automatically publish (for public viewing) data submitted to this form. Be careful with this setting, as it would allow anyone to publish any location content to your site. Categories: Choose Categories to display. Leave empty to show all Categories. This setting will only include Categories with Categories > Category Options > Show in front-end location form? set to Yes. Show Description Field: This setting controls whether the form displays the location Description field, which allows HTML and links. Admin Notify Email: The email address(es) to use to alert when a new entry has been submitted. Display ReCaptcha: This will display a spam prevention code to prevent automated submissions. 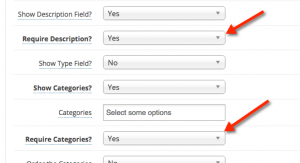 You can also control which fields are displayed on this form by using the Visitor Field setting of each field found under Dashboard > Fields. Turn off Visitor Field by clicking the green checkmark, changing it to a red "x". This will hide that field from the form. 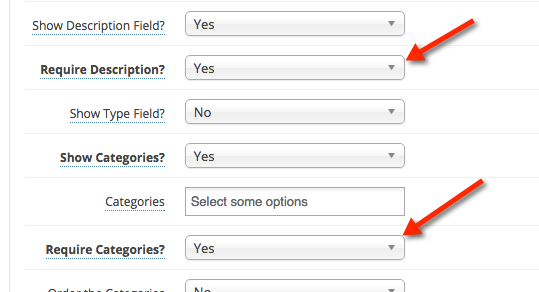 One type of field that is useful for the Form Layout is the drop-down list. 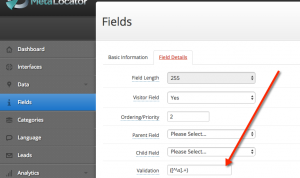 This allows you to create fields with a fixed set of values from which the user can choose. In the below screenshot, we've created a new field of type "Drop-Down List", and the form allows use to enter a comma-delimited list of values that will be used to build the drop-down. 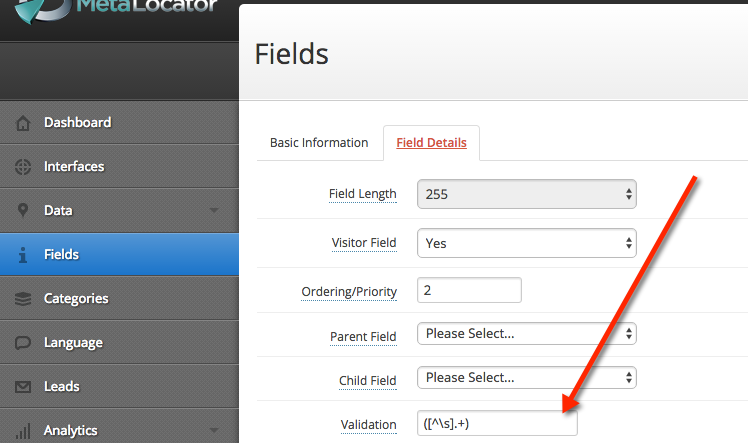 Under Field Details, we also designate that as a Visitor Field and save. 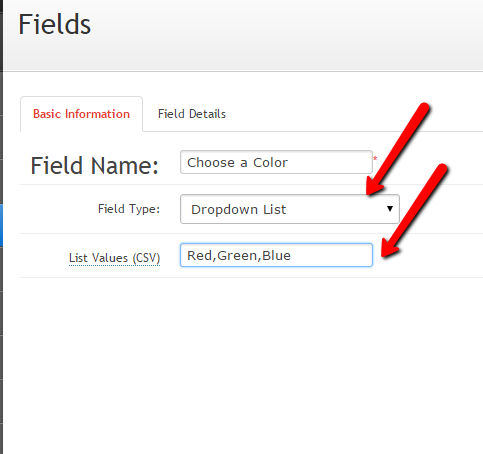 The field will be rendered on the form as a drop-down list.